Music is weaved all through the Bible as God's people sang and danced, played instruments and wrote psalms. 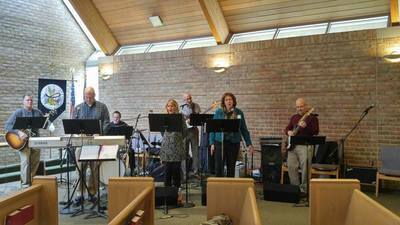 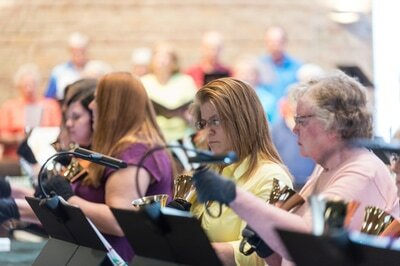 Music is a gift and we have many, many members at LCGS who have shaped their gift to support the congregation's common voice. We invite you in celebrating our faith through music! If you'd like to use your musical gifts for God's glory to enhance worship, contact Adam Koch, Director of Music or fill out the Musician Interest form so we can find the best place for you! 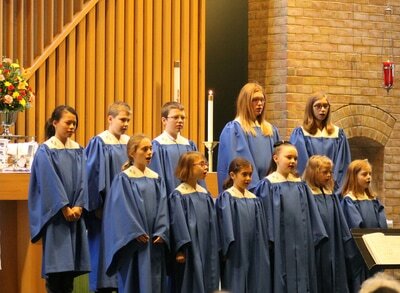 Chancel Choir: This choir, for confirmed youth and adults, sings at Sunday worship at various services. 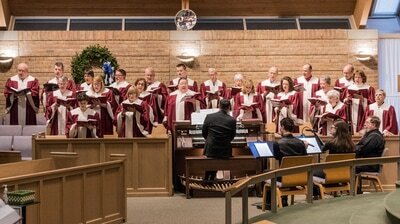 In addition to Sunday worship, we also sing major choral works at Advent and Lent with accompanying instrumentalists. 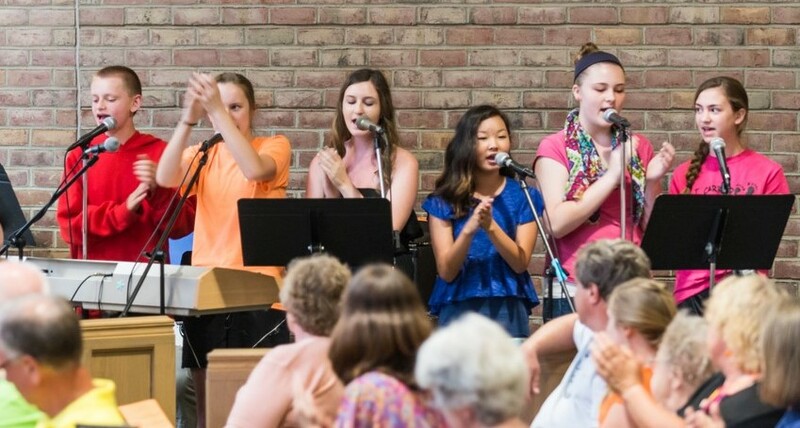 No experience is necessary, but be prepared to work hard and learn a lot! Rehearsals are held Thursday evenings. 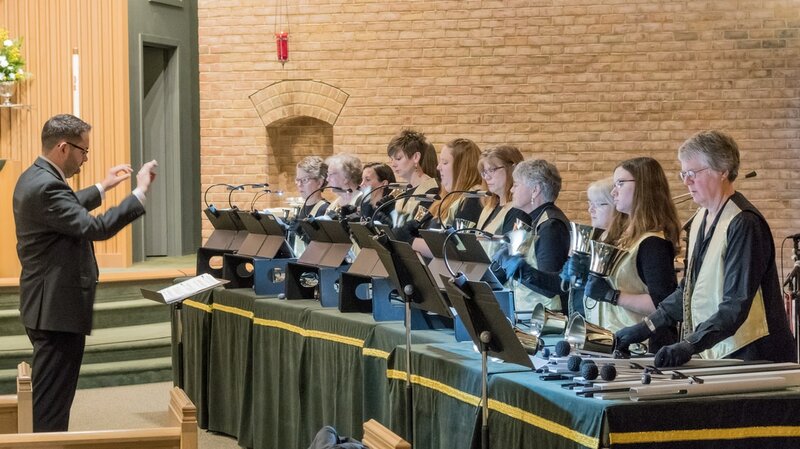 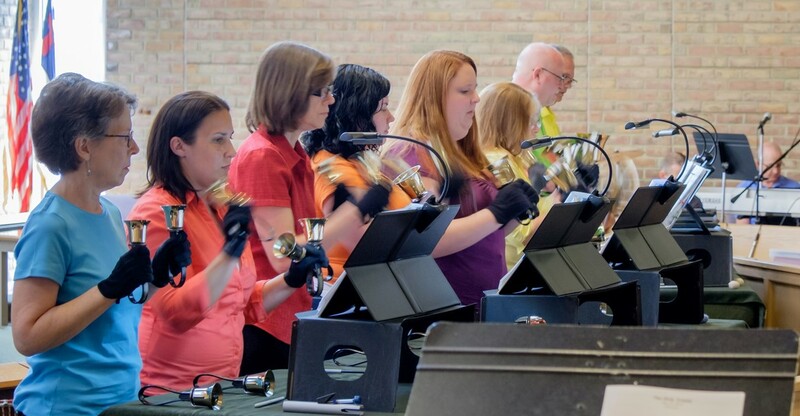 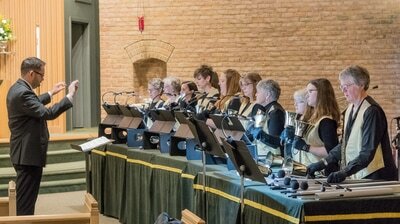 Resounding Joy Bell Choir: This talented group plays hand bells at service once a month. Some music knowledge is helpful. 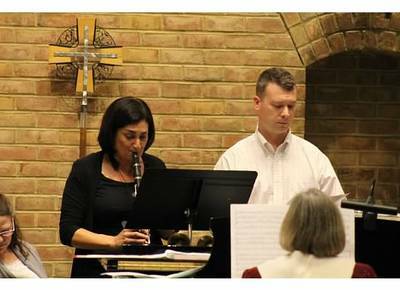 Rehearsals are held on Thursday evenings. 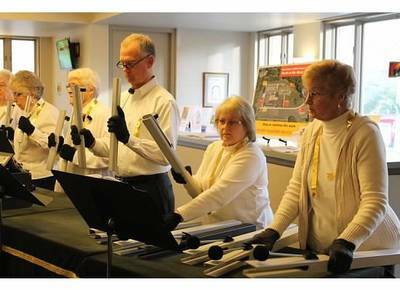 DayChimers Choir: This music group is comprised of many of our seniors who play the hand-chimes. 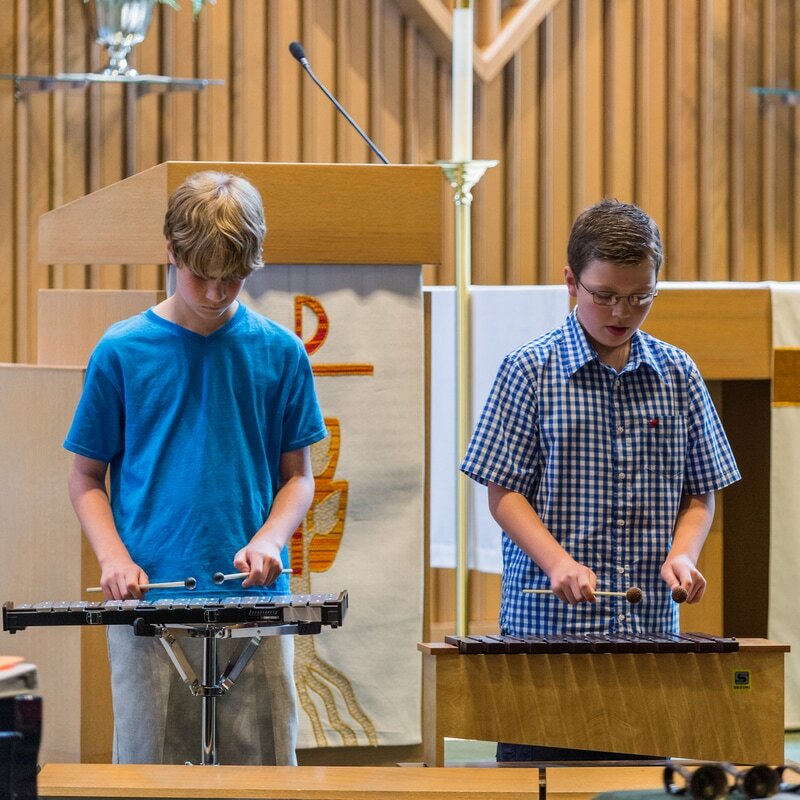 No prior experience is necessary. 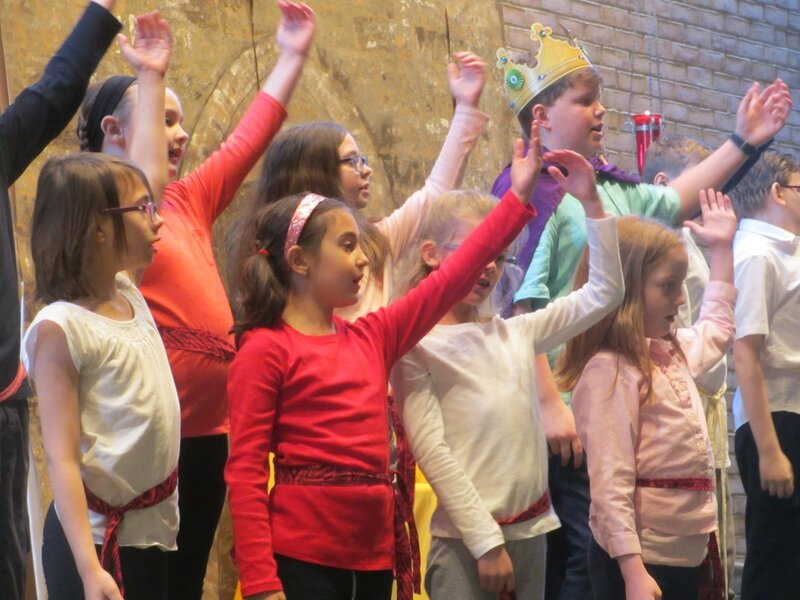 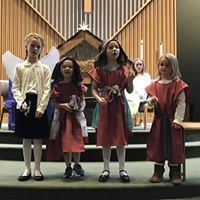 Junior Choir: (grades 1 - 8) The children rehearse weekly during the program year in the music room to play musical games, sing, move, and play instruments — all to the glory of God. After 3 weeks of rehearsals, they perform in worship. Your student can join the Junior Choir whenever they are able throughout the program year.